When the real estate market went down, Jeri Canale decided to retire as a realtor and jump into something new. 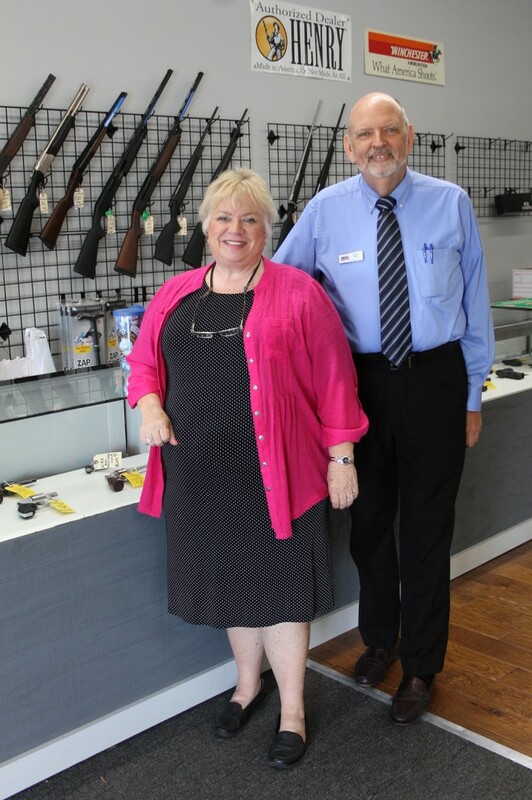 Canale made the unusual switch to start up and operate her very own gun and ammo shop. Canale faced many challenges at first, one being a woman owner in an industry diluted with men-dominated businesses. “Being an entrepreneur and a woman owning a gun store is a challenge in itself because the majority of your clientele are men,” Canale said. Canale, along with her husband, started by selling their own guns at first in Sebring. After starting Boom Booms Guns & Ammo, she decided to reach out to the Florida SBDC at USF for some direction. “I was at the point in my business when I needed some help and some information and guidance from someone who knew a little bit more than I did about general business. So I was so happy when David came forward and volunteered his services,” Canale said. Boom Booms Guns & Ammo was able to get a tremendous amount of services from their consultant, David Noel, from marketing, to tracking profit margins and day-to-day operations of the business. “Florida SBDC is probably one of the best things that has ever happened to me in business,” Canale said. Boom Booms Guns & Ammo now offers concealed weapons classes as well as teach tactical training and one-on-one shooting lessons. As they have grown they have also added a shooting range and online shop. “If it wasn’t for their ideas and marketing techniques and stuff, I would have never done that, so they have taken us from A to Z to where we need to be and how to get there,” Canale added. 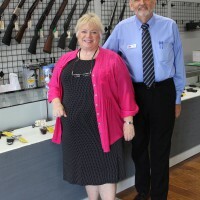 Boom Booms Guns & Ammo has been voted the #1 business in the community in for readers’ choice and people’s choice by News-Sun as well as has won the small business of the year award, presented by the Sebring Chamber of Commerce last year. They hope to continue their success within the community and grow their business in the upcoming months. “I think you would be passing up a great opportunity to meet a great guy that really cares about the community and is there really to help you grow your business. You need to talk to him,” Canale said when asked about David Noel from Florida SBDC at USF. He set me up so I knew exactly what I was doing; where I was weak, where I was strong, how I can fix the weakness and how I can move forward to better things and better ideas,” she added. "Florida SBDC is probably one of the best things that has ever happened to me in business"